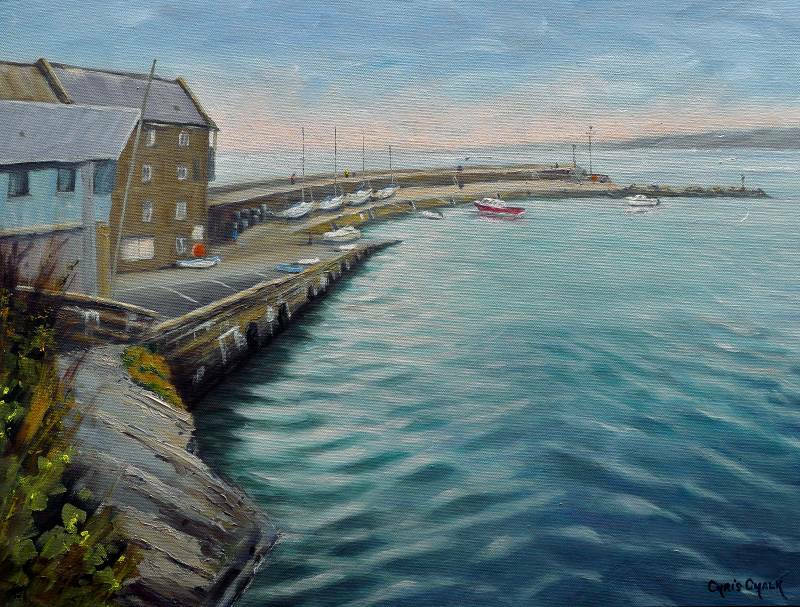 A painting of beautiful New Quay 'Cei Newydd' in Ceredigion, West Wales. 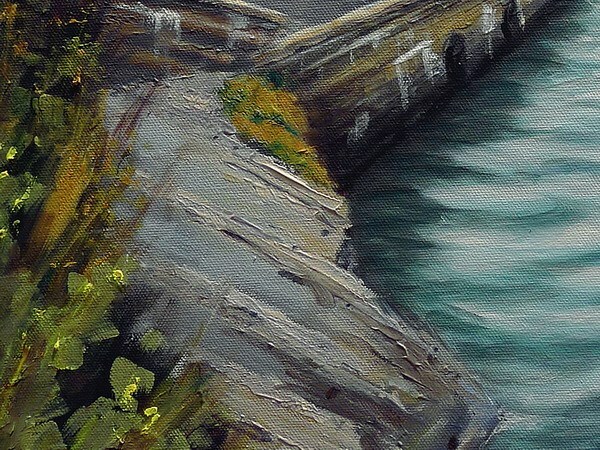 The light reflecting off the harbour waters, which are protected from the unpredictable beauty of Cardigan Bay by the picturesque historic stone pier. 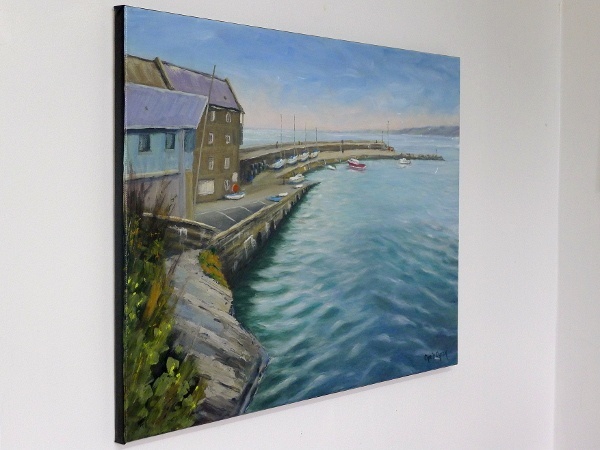 "Peaceful Reflection - New Quay, Wales"